In rugby, there is the heart that is respecting to others, challenging to oneself, appreciative to daily life, and caring for teammates…. Everyone in the world wants to play at the place which creates the most impressive scenes for the Rugby World Cup 2019. 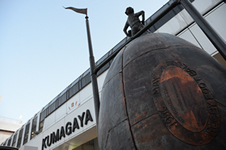 That place is the Kumagaya Rugby Stadium.